MLB, NBA, and NFL teams are utilizing massive amounts of data to assess the effectiveness of players on aspects of the game that were previously unquantifiable. What’s transpired is an arms race among pro teams to hire the best analysts. It started in baseball. The cash strapped Oakland A’s needed to find market inefficiencies and identify undervalued ball players to compete against the wealthier clubs. Their effectiveness in fielding competitive teams, despite their limited resources, has been well chronicled in both the book and movie, ‘Moneyball.’ It also ignited a revolution in sports. Sports analytics looks a lot different now than it did even five years ago. MLB, NBA, and NFL teams are utilizing massive amounts of data, including optical tracking and wearable data, to know where every player is at all times, what they are doing, and in turn, calculate how effective players are at aspects of the game that were previously unquantifiable. What’s transpired is an arms race among pro teams to hire the best analysts, collect the most proprietary data, and to analyze that data in innovative ways. Registration: $45/person for members and their guests; $65/person for non-members. 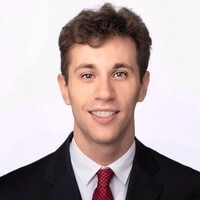 About Jason Rosenfeld, Chief Strategy Officer of Big League Advance, an investment fund that uses statistical analysis to identify minor league baseball players in whom to invest. Jason Rosenfeld is a professional sports technology and analytics pioneer, with extensive management experience on each the team and league sides, in academia and in its investment business. Jason was most recently the Director of Basketball Analytics for the Los Angeles Lakers, where he led his team's efforts to evaluate players, game strategy and roster building approach. Prior to joining the Lakers, Jason served for over three years as the Director of Basketball Analytics for the NBA league office. At the League, Jason analyzed game data, including player tracking data and business metrics, to recommend rule and policy changes to league executives and team owners to support the basketball and business interests of the league. Jason also oversaw the development of new statistics ('hustle stats') to better evaluate players by quantifying player effort and game impact. Jason has served as an Adjunct Lecturer at Columbia University, where he taught Basketball Analytics. Before joining Columbia, he served as an instructor at NYU, where he created the first ever Basketball Analytics 101 course. Earlier in his career, Jason led the basketball analytics team for the Charlotte Hornets, served as the Assistant General Manager for the Yao Ming owned Shanghai Sharks, and entered the field as a Basketball Analytics intern for the Houston Rockets. Jason graduated from Harvard College with a degree in Statistics and a minor in East Asian Studies. He is fluent in Mandarin Chinese. This venue is fully handicap-accessible and our meals are designed to acommodate vegetarians. The nearest Metro station is Metro Center. Exit at 12th and F Street, NW. Your destination is the building named "Columbia Square" which will you see right in front of you as you exit the escalator.